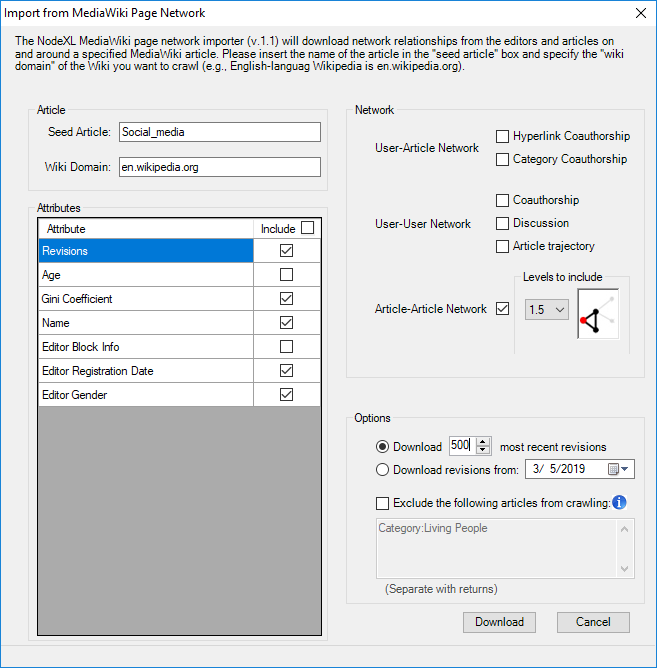 The NodeXL Pro MediaWiki Network importer has been updated to include the text and an image to represent each page. Collections of interlinked Wiki pages form a kind of concept network that can reveal interesting associations and unexpected connections. Any page on a publicly accessible MediaWiki is accessible using this importer. Labels are generated by the Words and Word Pairs analysis of frequently used text in clusters of wiki pages. You can download the NodeXL Options File used to create the map at the bottom of this page in NodeXL Graph Gallery. for you - all downloadable as pdf files on our new Tutorial website. 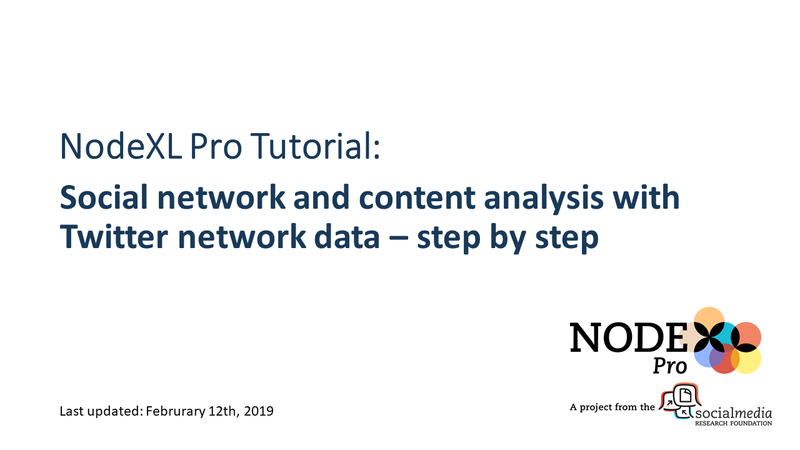 This tutorial shows you how you can run a full social network and content analysis with NodeXL Pro. While we will use Twitter network data as an example, this approach can be applied to any network dataset of your choice (content analysis depends on the available metadata). The automation feature in NodeXL Pro allows you to run all steps of a social network and content analysis with a single click: Data preparation, cluster analysis, metrics calculation, time series analysis, top content analysis, visualization and data export. 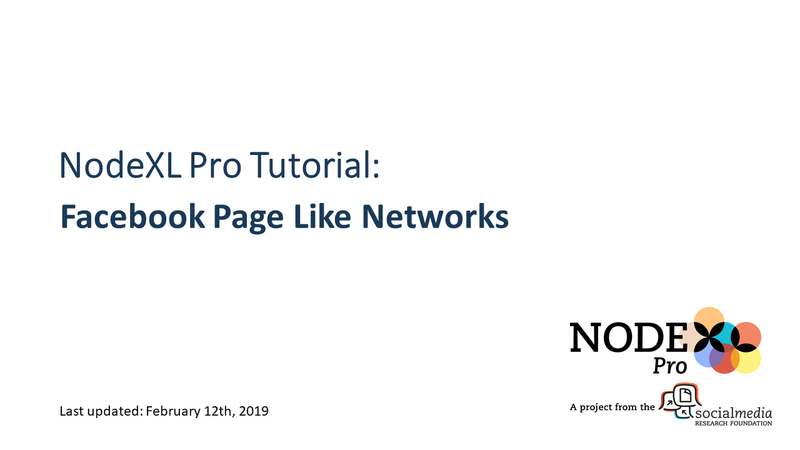 Learn to create networks based on Facebook Fan Page Likes using NodeXL Pro. Explore the surrounding networks of one or multiple fan pages by crawling up to 3 network levels with the NodeXL Pro Fan Pages Network importer. 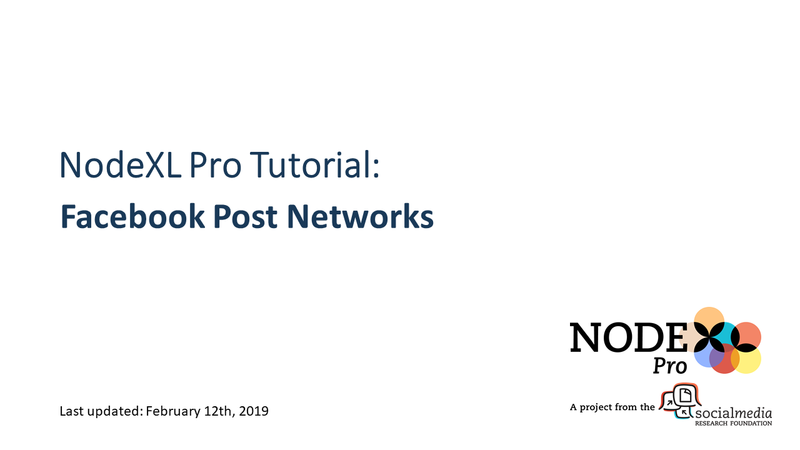 This tutorial shows you how to download, analyze and visualize posts, comments and replies from Facebook Fan Pages with the NodeXL Pro Fan Page Network importer. Wilson, A. (2017): Representing connections: how visualizations shape understandings of networks. 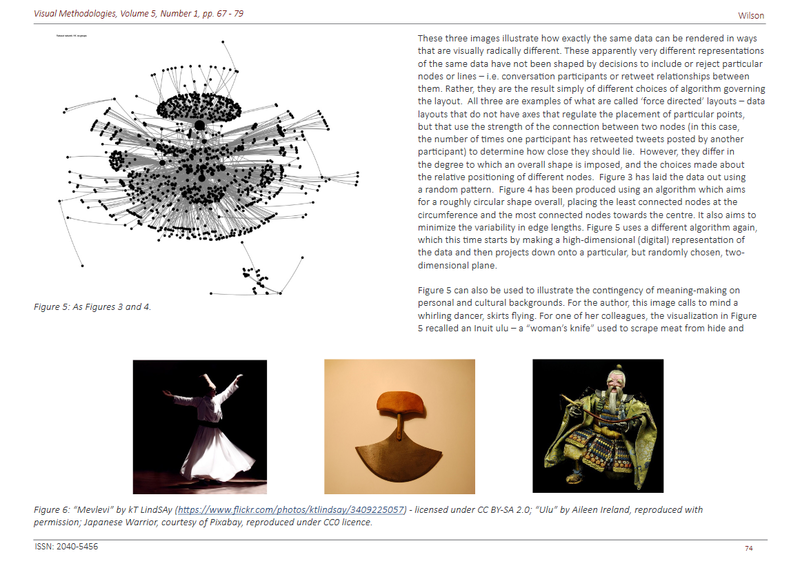 Visual Methodologies, 5(1), 67-79. Many more publications that make use of NodeXL can be found here. Social Media Research Foundation newsletters. Please contact us with details about your paper! NodeXL Pro Cloud Commercial User edition. 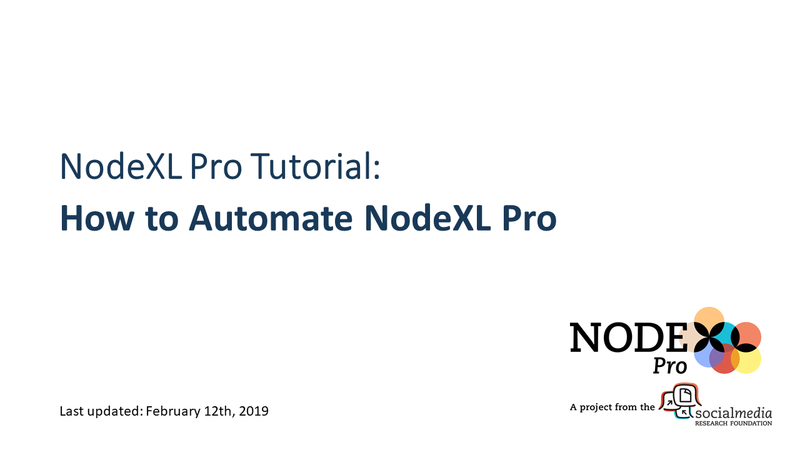 This is our first offering of a monthly NodeXL Pro license combined with the computer, operating system, and Office suite preloaded and installed - ready to use from almost any connected device with a web browser. Any connected tablet, phone, Mac, Linux, or even underpowered Windows PC can now access NodeXL Pro via a powerful remote virtual machine that is fully preconfigured and ready to roll powered by our partners at Intact.Digital. Academic and student users can "roll your own" version of NodeXL Pro Cloud Edition by creating an Amazon EC2 Virtual Machine and copying Office and NodeXL into it. Know how to automate NodeXL? 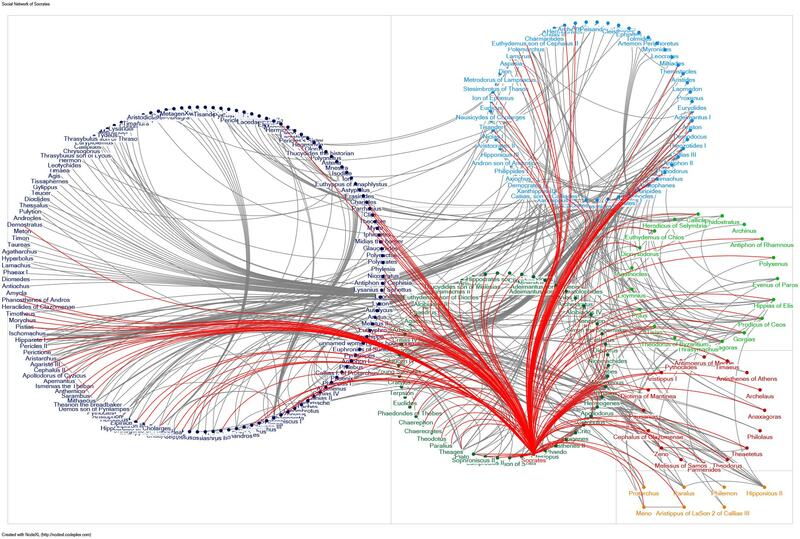 NodeXL is the easiest way to get insights into a connected structure. If you can make a pie chart you can now make a network chart. Learn more about the ways NodeXL Pro can automate your network analysis to generate reports and insights with just a few clicks. See the video! 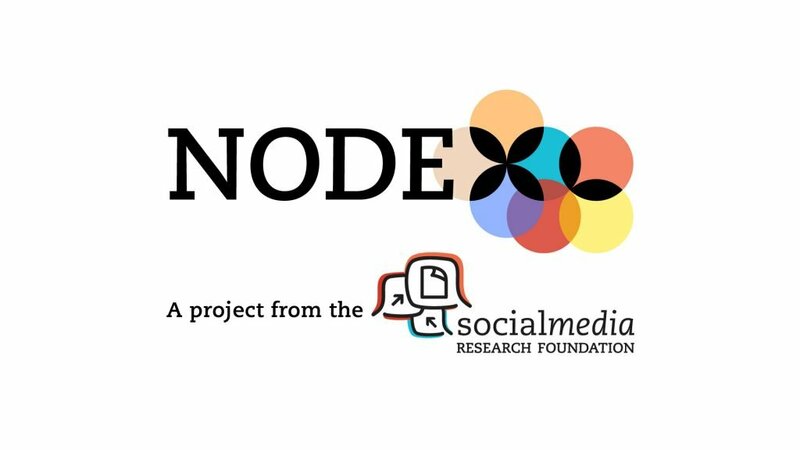 Interested in hosting a NodeXL event? Contact us for details! Join us for talks and workshops on networks, social networks, social media networks, and more. March 20-21st, 2019: #CMOSanFrancisco - Chief Marketing Officer Summit 2019. NodeXL Talk with Marc Smith. San Francisco, USA. April 10th, 2019: Edinburgh International Science Festival. Twitter Knows What You Did Last Summer. Talk with Dr. Wasim Ahmed. May 9-10th, 2019: #DataViz19 - Data Visualization Summit. NodeXL Talk with Marc Smith. San Francisco, USA. May 17th, 2019: Social Media & Digital Humanities: Methods/Approaches For Social Scientists with Dr. Wasim Ahmed. London, UK. June 11th, 2019: ICWSM-19. 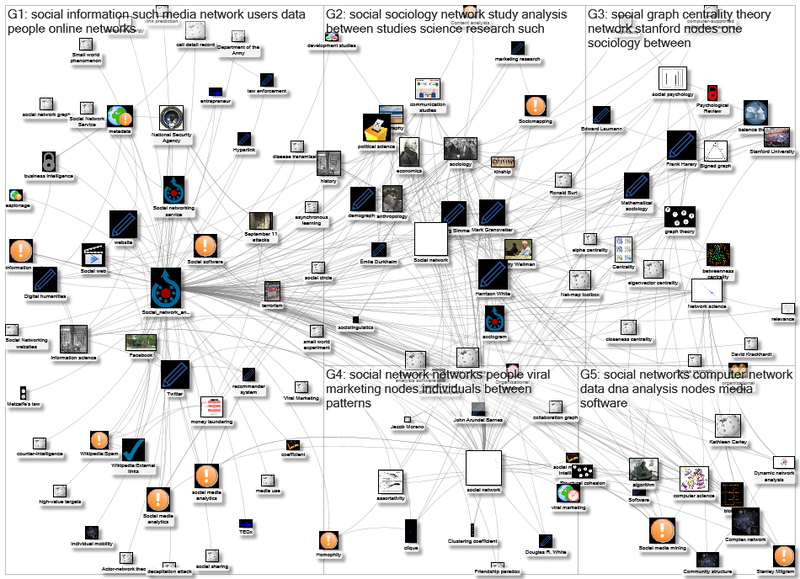 Workshop - Social Network Analysis with NodeXL with Dr. Wasim Ahmed and Harald Meier. Munich, Germany. June 16, 2019: Predictive Analytics World. Big Data Introduction - Daylong Workshop with Dr. Marc Smith. Request a NodeXL talk at your next event! universities, organizations, agencies and businesses. gain insights into connected structures. 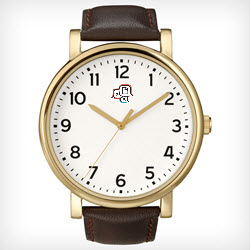 to help your organization “Think Link”. Is your copy of NodeXL Pro about to expire? 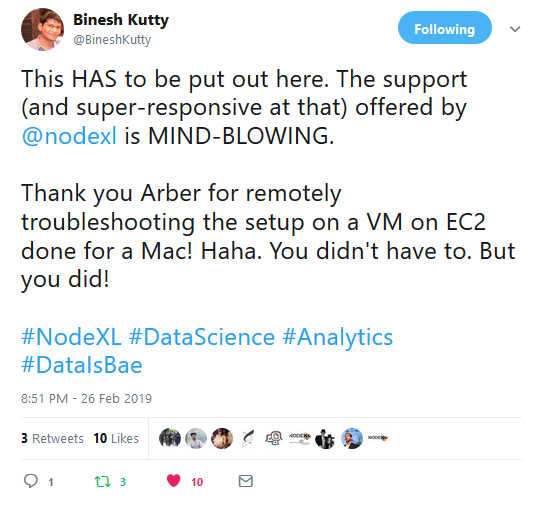 Already a NodeXL Pro user? Renew now! 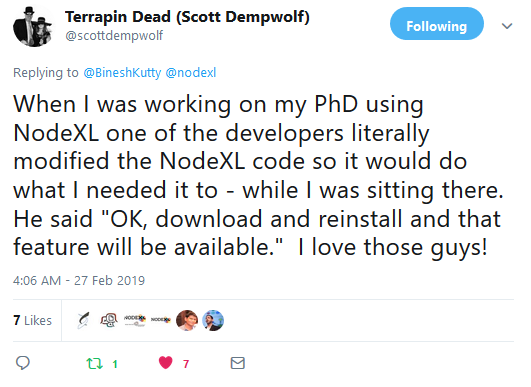 NodeXL Pro can now be licensed by the month as well as by the year. Get started with NodeXL Pro for just $79 per month. This is an automated email. You are welcome to reply directly to this email to contact us. Social Media Research Foundation newsletter.